Five years ago I was ‘working like a dog’ doing 80-90 hours a week in my business. 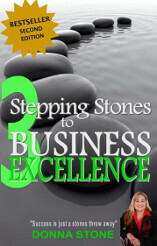 I personally implemented these very practical and effective ideas, and now I am working 15 hours a week in my core business. 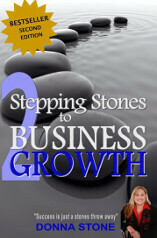 My profits are stronger than they ever have been and it’s allowed me the time to start and grow my other businesses. Time Management is one of the critical factors in a successful business or career … and something crucial to the business owner, or really any person who wants to get so much more out of this life and I’m sharing my tried and true experiences with you. They worked for me and they can work for you! 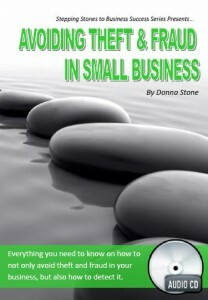 These tips are perfect for the small business owner, manager or career minded person who wants to really get somewhere – in the best possible time. 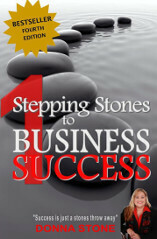 An excerpt taken directly from Donna Stone’s first book ‘Stepping Stones to Business Success’ which has been given rave reviews – including simple and practical tips to make Facebook, Linkedin, Twitter and YouTube work for your business. When is the best time to start your social media program? Yesterday. However the next best time is NOW. 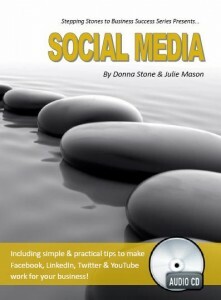 This Audio by social media guru Julie Mason will help guide businesses to build an engaging and profitable presence via social media that will generate leads and profits for your business. It’s not only large faceless corporations that experience theft and fraud – every business can. Prevention doesn’t have to be complicated, expensive or time consuming – it just requires some thought and pro-active attention to your business. This Audio will cover everything you need to not only avoid theft and fraud in your business, but also how to detect it. 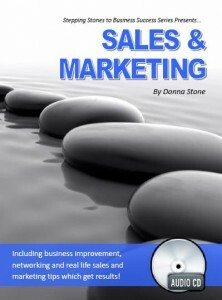 An excerpt taken directly from Donna Stone’s first book ‘Stepping Stones to Business Success’ which has been given rave reviews – including business improvement, networking and real life sales and marketing tips which get great results! Everything the small business owner needs to know about marketing their business, getting leads and then converting those leads into sales – over and over again. Networking can of course play a huge role in this process, learn all the inside tips from the twice awarded ‘Networker of the Year’ (2010 and 2011).